Mixed six, totally random, with no common thread. 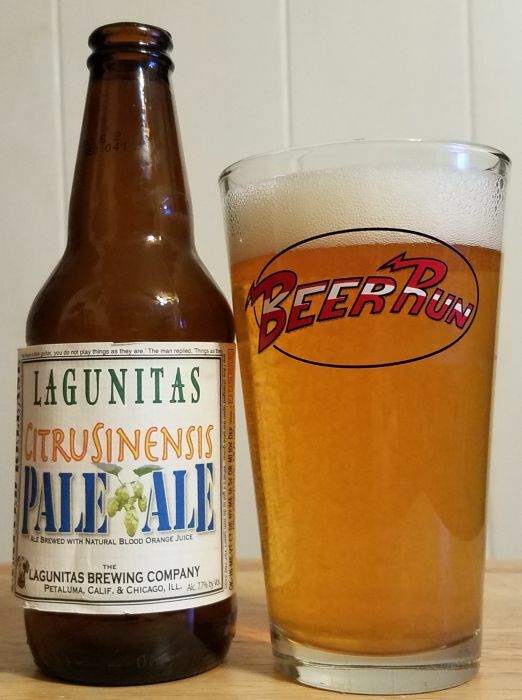 Lagunitas Citrusinensis is a pale ale brewed with blood orange juice concentrate. My bottle of this was probably a little too old to be ideal, but I still thought it tasted good. It poured bright orange with average head. The aroma is sweet, tangy blood oranges up front, but a warm wheat malt is still there in the background. The flavor is mostly about the sweet citrus. It’s very sweet, but not bad at all. 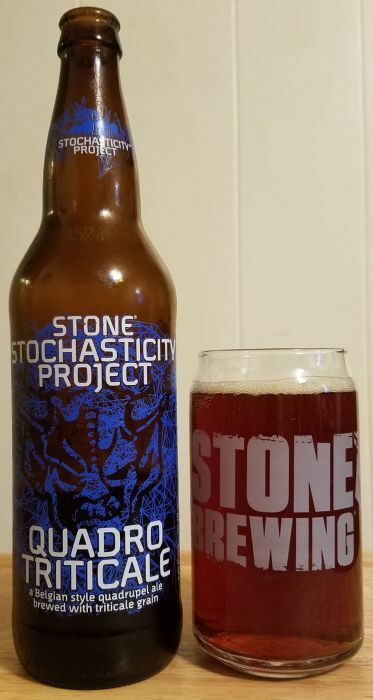 The finish is mild and malty, and if the hop character isn’t as lively as it might have been, it’s probably because I let this bottle sit a little too long. I’d like to have this again fresh. Stone Stochasticity Project Quadrotriticale is a nice quad, it is rich and warm and strong, and finishes with some distinctly Stone hop qualities. It pours dark amber brown with little head. The aroma is cherries, cloves, bananas, black walnuts... lots of desert like qualities. The flavor is rich and smooth upfront, with some herbal tea character and all of those flavors from the aroma. It blends with molasses and a little caramel, and it closes with west coast/floral hoppiness. I’d almost describe this as a naked version of Vertical Epic. Sweetwater's Dank Tank Pulled Pork Porter is a porter with smoked bacon flavoring added. I know, right? But, it's better than I thought it would be. 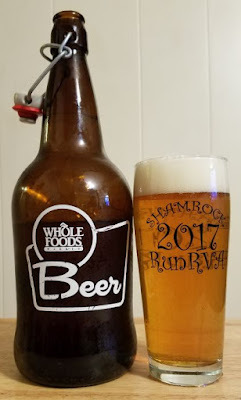 I tried it mostly out of curiosity, expecting a novelty beer. But it’s actually pretty good, even if it is odd. It pours very dark brown with a lot of foam. The aroma is a rich, smoky malt with some spicy notes, black pepper and a little bit of hoppy tingle. 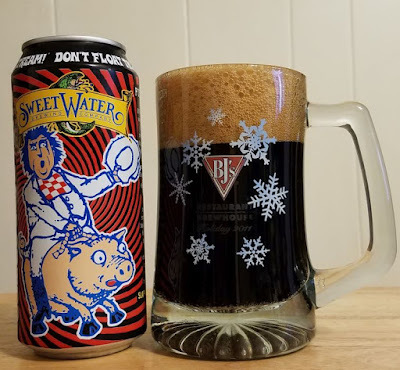 The flavor is very much a standard smoked porter up front, but on the swallow there definitely is a bacony, tangy barbecued pork quality. A little sweet spice, some coffee, a hint of honey and salt, and big smokiness on the finish. This is the most I have enjoyed an IPA from Parkway. I think that some of their malty beers (For Lovers Only Imperial Stout and Fortification Barley Wine) are fantastic, but I’ve previously only thought that Parkway’s IPAs were OK at best. Save The Galaxy IPA is more than OK. It’s a damn good beer. It pours bright yellow/orange with a decent amount of foam. The aroma is a bit dank with a sort of piercing citrus quality. The flavor is just great. Especially on the finish, where a warm malt blends with a very bright, very dry, clean, aggressive hoppiness. I like this very much. I like South Street's American strong ale, Satan's Pony. 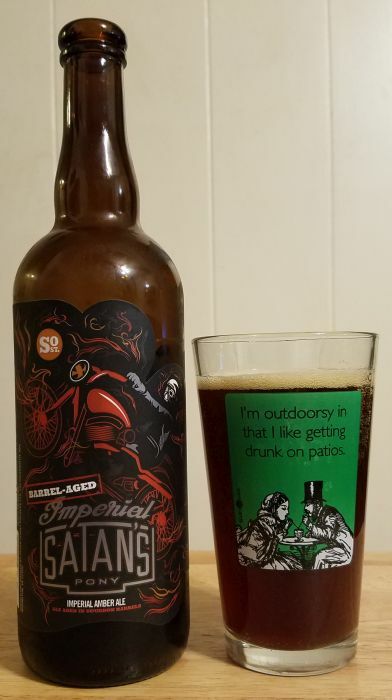 And I like this barrel aged imperial version very, very much. 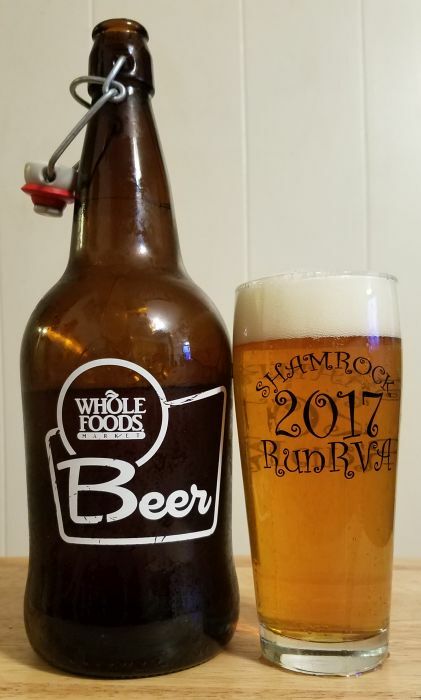 I think it might be the best thing I’ve had from the brewery. This beer pours copper brown with average foam. The aroma is all barrel; sweet and rich and very smooth. A ton of vanilla, a little bit of spice, some orange peel in there, all of it blending with the malt. Really nice. The flavor is as good as the aroma. While it tilts heavily to the sweet side, it's so smooth and so complex that it never gets old. All that vanilla and malt from the nose mixes with caramel, maple, a little hint of the orange and maybe some cranberry. Oh, yeah, and some boozy character to make that barrel aging worth the time and expense. It was worth my expense, too. I will buy this again. 10 Barrel's Joe IPA is a serviceable IPA, and I can’t complain about it. It pours hazy yellow with average but tenacious foam. 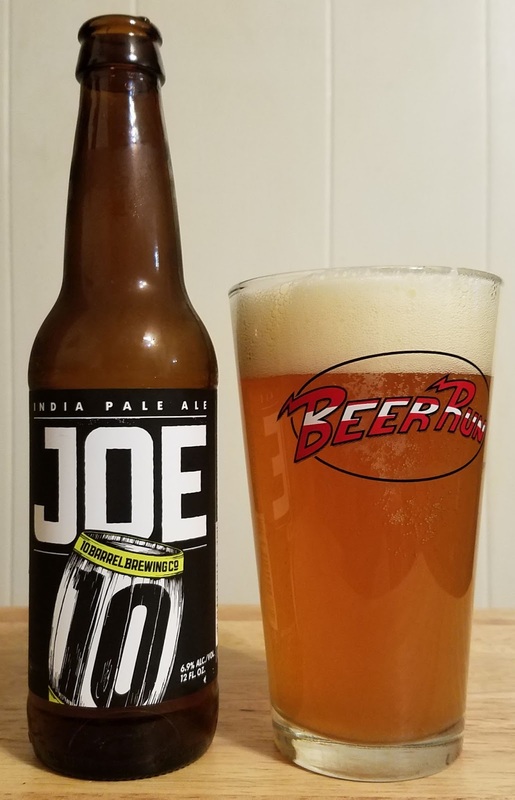 The aroma is fairly standard IPA, a little on the dank side, with some lemon and wild onion notes. The flavor is bright up front and closes with a fairly straightforward hop load. Not bad at all. You could knock down three or four of these over the course of a movie without ever getting tired of it.